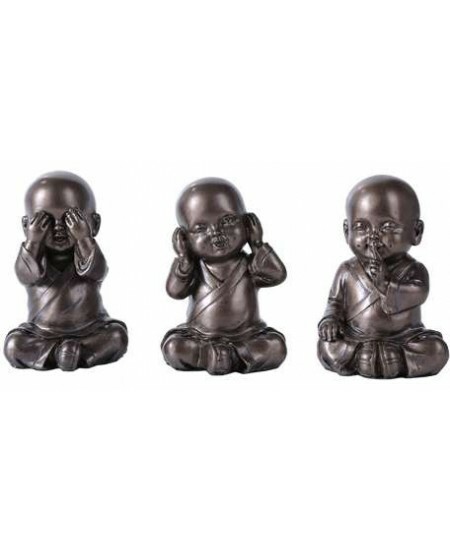 Set of 3 small monks expressing Hear, See and Speak no Evil. 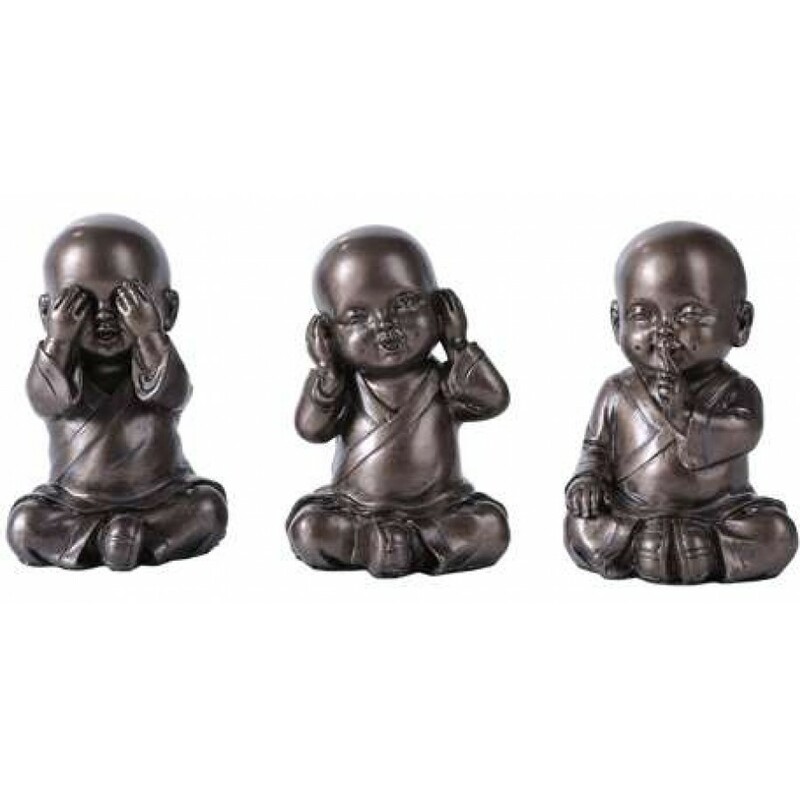 Cute set of 3 statues that average 3 1/2 inches high express the old adage of Hear No Evil, Speak No Evil, See No Evil. Cold Cast Bronze Resin. Item Number: PT-11319 | Approximate Size (Inches): 1.50 wide x 1.50 deep x 3.50 high | Approximate Shipping Weight: 3.00 lbs.